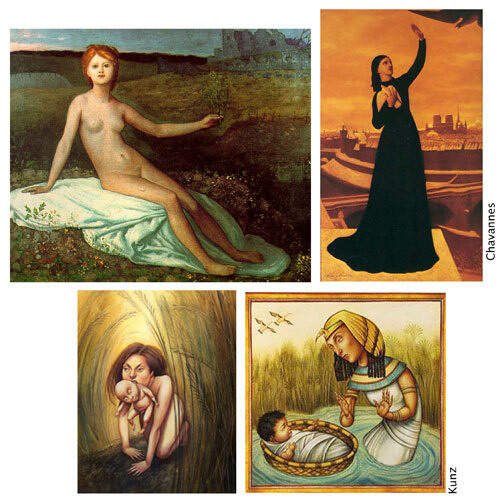 I wonder if Anita Kunz (one of my favorite modern illustrators) was inspired by Pierre Puvis de Chavannes? I just discovered his work at MusÃ©e d’Orsay in Paris. I was struck by his boldness, the way he contrasted colors, and by his use of narrative. Heâ€™s called a Symbolist. Anita is called an Illustrator. Illustration sometimes gets a bad rap for being ‘commercial’ but I think Anita’s work is very symbolic and her painting chops as refined as Pierreâ€™s regardless of her commercial clientele.